Seventeen-year-old Reagan seems like the perfect small-town girl. Dubbed a saint by her older brother, Lincoln, she serves the community, makes straight A’s, attends church, spends her summers working with special needs children, and is a piano-playing prodigy. When you’re the daughter of the mayor and the police chief in a sleepy Kansas town, toeing the line is easier than the alternative. That is, until her brother’s best friend changes the rules. Reagan’s been subject to Ridley’s antics her entire life. Growing up, he tormented and teased her, but he kept his distance - until now. 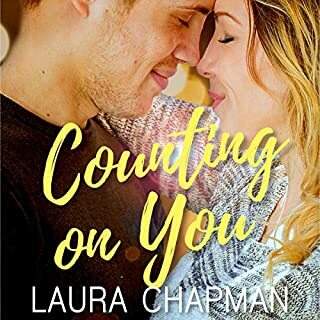 When Ridley breaks a promise, late night phone calls and secret rendezvous in the haystacks quickly transform into a reckless, all-consuming love. Some promises are meant to be broken. Some secrets will not be contained, and sometimes, the consequences we render are more than we can bear. A beautiful story! Reagan and Ridley have known each other forever... their relationship has changed over the years, and this is their story. The authors really pulled me in to this story and the cliffhanger has left me needing more! Starla Huchton did a beautiful job with the narration. I look forward to listening to more of her performances. Oh my lanta! I’m stunned… just flabbergasted! That cliffhanger left my mouth hanging slack-jawed. I adored Reagan and Ridley. It’s seriously an amazing story. I love a story that is rooted in family and friends. I felt like I was able to get even more attached to the characters. The writing was fantastic and it really had this slow burn and build up. The narrator, Starla Huchton, did a good job with the story. I really do wish there was a male and female narrator for this book. I think it would have really elevated this audiobook above and beyond but I really dig the dual narration. Anyways, Miss Huchton did do a great job. I still felt the story like I do with audiobooks and I feel like I’m literally hanging off a cliff here waiting for the rest of the story! What a wonderful story. Very well written. I felt I was living every step with the characters. First love, family and friendships. Narration was done well. No negatives, except cliffhanger.on a positive note, the next audible is out. I received this audible in exchange for my honest review. Oh man, can you say cliffhanger!!! I loved the story. every bit of it. The slow build of the reveal of longtime love. The family dynamics of both of the main families. The story was sweet and all I could do was listen at bated breath for what will happen next. The narrator was pretty good. I had a hard time on occasion understanding the names. Sometimes it sounded like Ridley and sometimes Ripley. Also the brothers name, Lincoln or Link took a while to figure out because its not enunciated well. I wish men would be used for mens voices and women for woman because it's hard to really get into a male character when a chick is just lowering her voice. I really loved the story and now I'm frantic to know what happens next!! This was my first time listening to this author duo and narrator. I can't wait to listen to the follow up as well as other books by this author duo and the narrator. Loved every second!!! I Feel sorry for all the books to follow this one. You would think listening to an 11 hour book that things would be dragged out but it's not, If I didn't have to sleep I would have listened to it all in one go. I highly recommend this book to young adults and romance readers. This is the kind of book I would even let my teenage daughter listen too. There isn't enough words to describe how awesome this book was. I really loved this book. 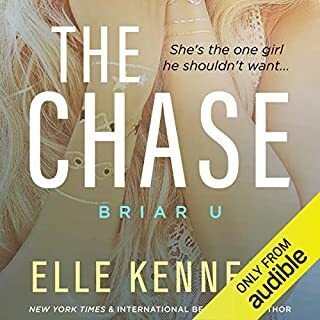 Angst, swoony brothers best friend, friends to more, great narration- can’t wait to listen to the next in the series and more from these authors and narrator. I received a free copy of this book and am leaving a voluntary unbiased review. I love the story of Ridley and Reagen. I hope Book 2 is out soon to continue the saga. This book grabs your heart from the first chapter. Starla Huchton does a phenomenal job as the narrator. The story is well done with great character building. I can't wait to listen to book 2. I was completely blown away by this story. Great characters, writing, narration...all around great. What a beautiful story and what an ending. I write this with my heart beating faster than it normally would and maybe a little broken too. Definitely worth the read and on to the 2nd part which I'm sure will probably wreck me in the best of ways. 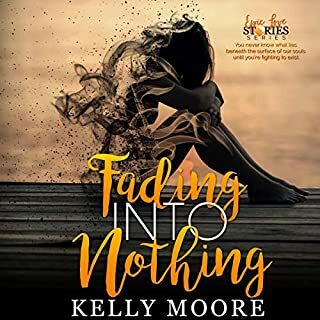 Thank you to Mindy Michele for providing me with a free audiobook in return for an honest review. 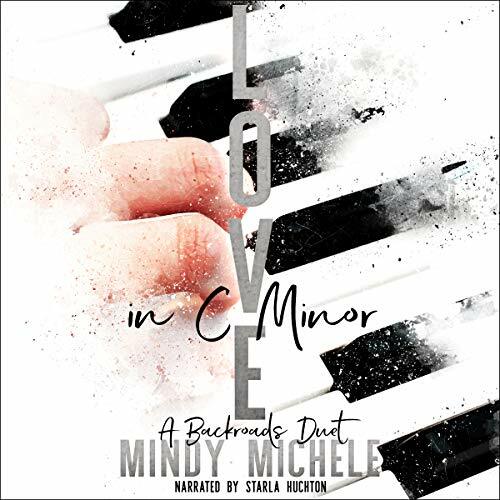 Love in C Minor is a beautiful ‘brother’s best friend’ romance…one of my favourite subgenres. It follows musically talented Reagan and her older brother’s best friend, Ridley. Narrator Starla Huchton was a fabulous choice for this story. She kept the story flowing well and had a great understanding of the characters. I really liked the character progressions in this, not just between Reagan and Ridley, who were just adorable. Ridley’s relationship with brother Lincoln was also a really good read. They started the book with real sibling rivalry and it was really nice to see the two of them grow and mature with their attitudes to one another. I really enjoyed this story, it seemed to start a little slow for me but once it set the scene it was a really pleasant, easy read. The last scene had me so intrigued that I have to read the next book to find out what happens next! I love, love, loved this book! The love story was sweet and refreshing and I love Raegan and Ridley's relationship. It did take me a little bit of time to get into the story but once I was into it, I was hooked. I can't believe the ending, it can't end like that! I'm really looking forward to listening to the next instalment and can't wait to find out what happens next! This book was given to me free of charge in exchange for a review.